The natives speak so-called Mallorquí, a sub-dialect of "Balear", a regional dialect of Catalan. Schools teach Catalan and Spanish; both are official languages in this region. Anyone raised there can speak both languages. Whilst Catalan is the "local" language of the island, Spanish has an overall majority in terms of number of native speakers. In tourist areas, you will frequently come across people speaking English, German, French and other common European languages. Mallorca has some of the best marinas on the Mediterranean and yachting enthusiasts will find a massive variety of motor and sailing yachts on display, in addition to a variety of Sea schools, diving schools, charter companies and yacht brokers. 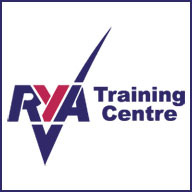 Below are a few marinas that are close to Deep Blue Sea Training that are definately worth a visit. Palma de Mallorca - MarinaPort de Mallorca - Tie up your boat in the Balearic Islands' most modern and fully-featured marina with mooring, refitting and round-the-clock security services. Take a short walk and pop into see us at Deep Blue Sea Training. Port Adriano Marina, Calvia Mallorca - Discover the exclusive marina designed by Philippe Starck. One of the most modern marinas in the Mediterranean and an exceptional base for superyachts. Great design with an array of premium services in a highly functional environment. Port Andratx Marina - Port Andratx - A yachting and fishing harbour set in attractive surroundings with a pleasant village nearby. Club Nautico Santa Ponca Marina - One of the most picturesque harbours in Mallorca. It was built in 1975 in a natural cove and is surrounded by beautiful gardens. Port Esportiu Marina, Puerto Portals - Known as the millionaires' marina, Puerto Portals is one of Mallorca's most glamorous spots. Situated just 10km to the west of Palma, this marina has 639 berths suitable for boats ranging from 8 to 60 metres. 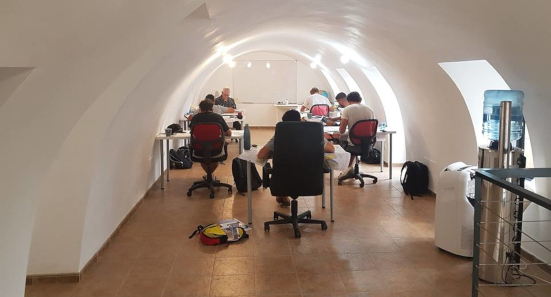 The big influx of visiting yachts (many chartered) from Italy and France occurs from early July to late August and during this time premium prices are charged. 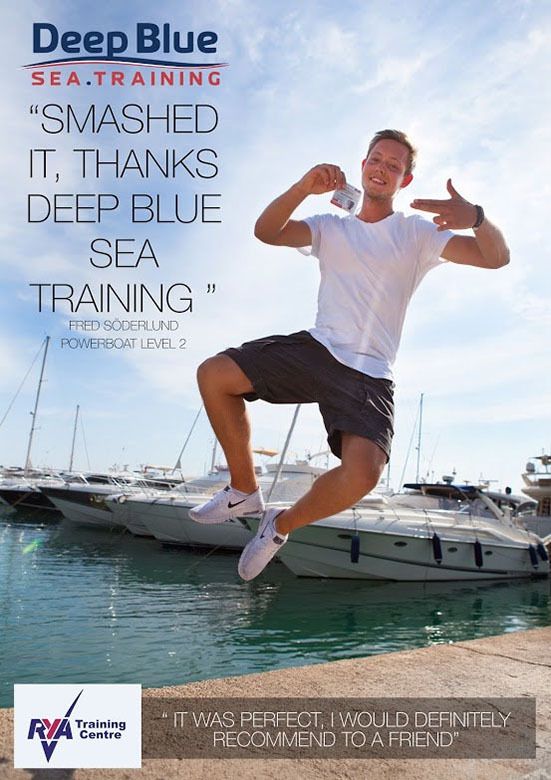 Palma de Mallorca - Mallorca's main and largest city and home to Deep Blue Sea Training. Alcudia - just perfect for combining beach and cycling. Binssalem - located to the north of Palma, this small town features an impressive cathedral and many fine local restaurants. Cala Ratjada - located in the far north-east corner of the island this resort is popular with German Tour operators, who almost exclusively supply the many hotels with guests. Cala d'Or - resort on the east coast, well known for its annual Jazz Festival. Cala Moraia - resort as well on the east coast, access to golf courses and smaller beaches. Cala Millor - south eastern coastal town, linked by a long promenade to the adjacent resort of Cala Bona. Deià - small village in the Tramuntana mountains, beloved by artists, intriguing cemetery. Esporles - small village between Banyalbufar and Valldemossa and just 12 Km from Palma de Mallorca. At the feet of the Tramuntana mountains. Fornalutx - one of the most attractive villages on the west coast, good starting point for hikers. Inca - the second largest city, renown for its leather factories. Manacor - the third largest city, famous for its furniture shops and pearl factories. There is also a large shop on the outskirts of the town that specialises in products made from the wood of the Olive tree. Pollença - charming little city in the north-east, and home to a good Sunday market. Puerto Pollensa - beach resort in the north of the island, popular with families. Sa Pobla - small, rural municipality in the district of Raiguer on Majorca. Hosts fantastic Jazz Festival. Sineu - the geographical heart of the island, a small village best visited on Wednesdays, the weekly market is enormous. Sóller - extremely pretty town set in fantastic mountainous scenery. Valldemossa - the charming village in the Tramuntana mountains is a must see, Chopin spent a winter here with George Sand. The Balearics have a reputation as a destination with lots of fairly light wind summer cruising and lovely anchorages. To skim the area, you will need a two week passage with four weeks providing time for a more thorough cruise. With many wintering possibilities and good yacht support, Palma is an ideal destination. Majorca can be a little expensive but overall it is a good place to base a yacht. Typically, during high season the island is dense with yachts and berths are in short supply and any sheltered anchorages tend to be crowded. There is no reason why you cannot cruise all year round. Summer cruising season is from late May to late September with overcrowding peaking from mid July to late August. Of course, you must be aware at all times about unsetted weather and unpredictable winds. Minorca can be very lively even in the Summer months. 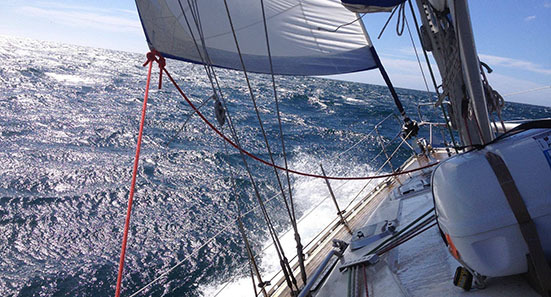 Cruising in Winter can be pleasant if the weather is settled; however unsettled weather is frequent and includes brief periods of very fierce wind.